Anou Mirkine has been painting and drawing since the age of 8. Early on, her parents noticed her talents and, without delay, sent her to a series of art schools including: the Museum of Modern Art after-school program, the Art Students’ League of New York and the William Schultz art studio in Pittsfield, Mass, where she studied with Mr. Schultz in the style of Robert Brackman. Anou continued to attend the league on and off for over 20 years. After receiving a BA in painting from Bennington College in 1979, she moved back to New York City to refine her technical abilities at the League, with Robert Brackman, Daniel Greene and anatomy with Nathaniel Hale. Simultaneously she attended the School of Visual Arts with Ellen Lanyon. As her style developed, while still living in New York, she became more and more enamored with the life in relationship. Subsequently, she began studies in architecture at the City University of New York School of Architecture. She soon became employed and practiced architecture at several firms until she relocated to Santa Fe, New Mexico in 1989. 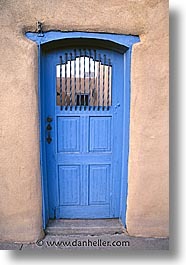 She enrolled into the Masters in Architecture program at the University of New Mexico from where she graduated in 1996. In 1993, while still working on her masters, she began her own business providing CAD services to architects and builders in Santa Fe, which continued to grow until 2009. As of January 2009, Anou began to paint again. Despite the long gap, she discovered that her talents had improved; even ideas for paintings appeared readily, and her understanding of composition, color, form, and light had gelled over the years. 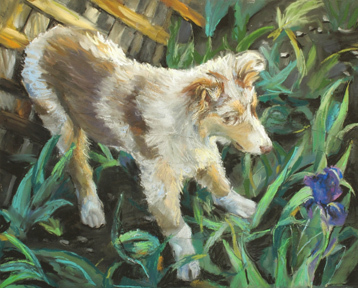 Her paintings depict a moment in relationship—a split second when to entities connect over an emotion, whether it be people, animals or things, there is always a relationship. Her current work is displayed on her website: www.anoumirkinedesigns.com, and on facebook. One of her pieces, “Frank and Maya the day before the end”, was exhibited in a Juried show “Image and Culture,” a faculty and student painting and drawing show at the Santa Fe Community College School of Art and Design, from Feb 3, to March 5, 2011. In addition, two other pieces, “Mom” and “Self Portrait” were exhibited in another juried show at SFCC from June to August 2011. She was awarded Honorable Mention for third place for her work.